Thanks for a fantastic walk! 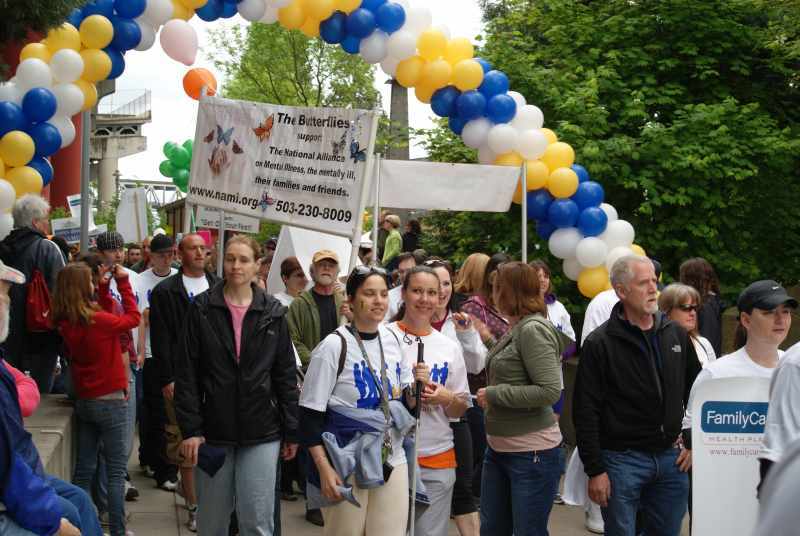 2,163 of you walked to help us fulfill our mission of improving the lives of individuals living with mental illness, and their loved ones. Special thanks to our event volunteers, sponsors and team captains, and the Portland Police Bureau! We are still counting money from walk day and will update the walk web site, as well as send out an e-mail, when we have a total. We will be accepting walk donations online and via snail mail until July 22. Please mail checks to NAMI Oregon, Attn: NAMI NW Walk, 4701 SE 24th Ave., Suite E, Portland, OR, 97202.